Want to learn more about PaddleAir's Ergo, check out the latest Ergo styles, take an Ergo for a paddle, or just have a great time? Then mark your calendars for Saturday and Sunday, March 7 and 8, 2015 for Camp Shred surfing demo event at the San Elijo State Beach Campgrounds in Cardiff-by-the-Sea, California (view on map). Billed as the worlds largest surf demo, Camp Shred 2015 is hosted by Surfing Magazine and SurfRide. The demo will take over the entire South end of the San Elijo Campgrounds and include entertainment, live music, food trucks, and even a beer garden. Read more about Camp Shred here. 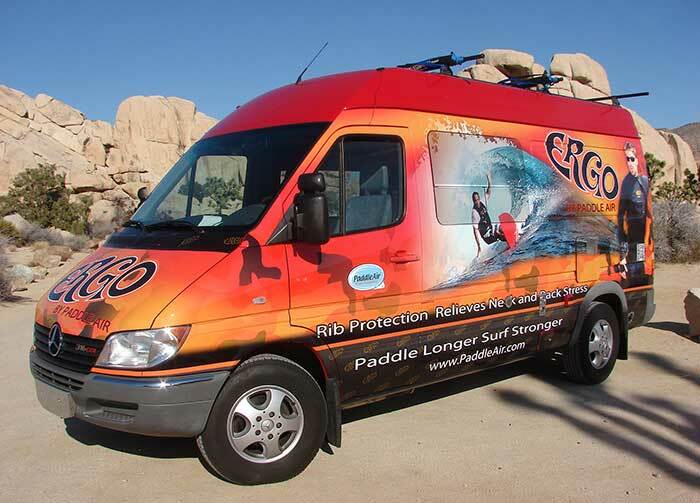 When you visit Camp Shred, look for the PaddleAir Team Ergo Demo Van and learn how you can paddle stronger, surf longer in an Ergo. Learn more about Ergo here.